Once you have created a course and set it up on a delivery platform, you need to promote your course and get it in front of your target audience. If you don’t promote your course, then no one will purchase it and you won’t earn money. You can’t expect people to stumble upon it if you don’t have a strategy in place. Promotion is when the real work of the entire course happens. 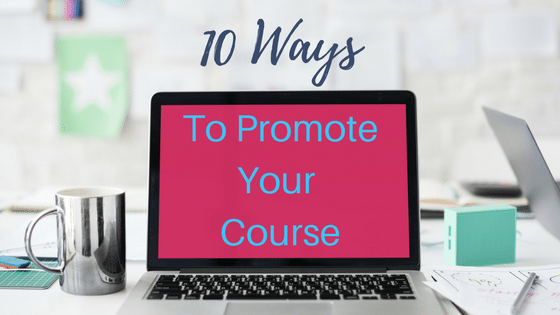 Here are 10 ways to promote your course. Search engine optimization is very important to ensure that people find out about your course. There is on-page and off-page SEO to consider. In short, SEO when done right can enhance the ability of your audience to find your sales pages, blogs, and course. Use social media marketing to promote your courses. Hint about them and give a sneak peek into them. Pull out quotes from your course to promote with memes on social media, using images that relate to your course. Do Facebook lives that make your course intriguing so people want to learn more. Run a Facebook Ad to your sales funnel page and test the market early before you start the big push. Write a series of blog posts about the problems that can be solved by taking the course. If you educate the audience on their pain points and then give them the solution to solve it, the course, they will sign up. Conduct interviews with people who host Facebook lives, YouTube videos, or podcasts. During the interview, mention your course, offering a special coupon code for listeners. You’ve just reached their audience as well as yours and get ready for massive traffic. Give your course to a few good people in order to collect testimonials for the course so that you can put them on your sales page. This is a great way to test what’s working and what’s not as well before you offer your course to the general public. You’ll also know if this is something people really need, and if you’re genuinely helping them. People like proof that your program works, and this is the best way to gather that proof. You can actually turn the course idea into an eBook which you can use to promote the course. Make an eBook that discusses the pain points and potential solutions to the problems, including your eCourse. Offer it as a pre-course bonus for those who sign up during the first 24 hours, or the first 10 people to sign up get your eBook so that they’re at “the top of the class” once your course launches. Webinars are a MUST when it comes to promoting your course. Think about all of the reasons your course will help people and also, be prepared to answer questions and doubts people raise. You can talk about the pain points and problems of the audience the course is for. 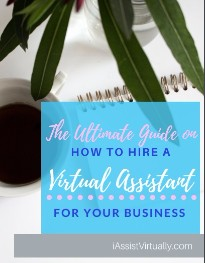 Then give them a special offer they can’t refuse if they sign up right now for the full course, such as access to something you already offer, or a discount on your services, etc. A really awesome sales page can help you promote your course. You want a page that is totally focused on your audience, their pain points, and how the course will solve their problems. Use social proof, the details of the value they’ll receive, and a clear call to action to get them to buy. You can use many affiliate networks in addition to your sales page to promote your course. It depends on how you set up the course but you can use affiliate software to help promote your course. When you have other people helping, you’ll sell a lot more courses. Ask others in your industry to sign up for your affiliate program, and others who have benefited from your products and services. 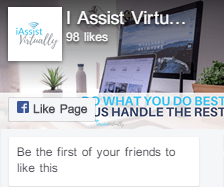 You can give away small reports, small segments of the course, and other information to get people to sign up for an email list where you can promote the course in more detail. This can be simple such as a cheat sheet or checklist, or if it’s a high-ticket offer, offer one-on-one coaching or a free ticket to a live event with you. It’s important to do a combination of every one of these ways to promote your course if you want to earn you a lot of money from it. A course can earn thousands (even hundreds of thousands) of dollars if you do what it takes to get the word out to the audience. Need help promoting your course? We’d love to implement all of the above tips and more! Let’s chat about how we can help you succeed.